The National Federation of State High School Associations (NFHS) developed the Spirit of Sport Award in 2008 as a way to recognize individuals who exemplify the ideals of the positive spirit of sport that represent the core mission of education-based athletics. Student-athletes, coaches, athletic administrators, administrators, trainers and other individuals associated with a school’s activity and athletics programs are all eligible for the honor, which generally recognizes individuals who have overcome adversity or gone above and beyond their peers. The IHSA receives one nominee to represent the state of Illinois each school year. The individuals below are the IHSA’s nominees from each year and are champions regardless of their standing in the awards program. As a two-sport student-athlete (volleyball, soccer), Amy managed to maintain her status as an Honor Roll and National Honors Society student while also participating in numerous schools clubs and organizations that included Choir, Choraliers, Acapella, N Club, Z Club and the student leadership group Ambassador. Despite her impressive accomplishments on and off the playing field at Belvidere North, it was her work outside of the school where she best displayed her winning spirit. Amy was afflicted with breast cancer at the age of 13 and has since reached out to others to share her story as a speaker at events for Relay For Life and the Girls Scouts of America among others. Tori Clark was a a member of the Lake Park volleyball and basketball teams and also participated on the soccer team during a portion of her high school career. Her leadership skills and positive attitude led her teammates to vote her basketball team captain and she was also involved with a number of community events, including organizing and working a wheelchair basketball tournament. However, those outstanding activities and accolades were just a precursor to one of the most selfless acts ever exhibited by a high school student-athlete. In October 2009, Tori saw a newspaper article regarding Christine Federico, a former star volleyball player and single mother of two in a neighboring community. Federico had recently been diagnosed with Myelodysplastic Syndrome, a form of pre-leukemia. Her two daughters were volleyball players at Neuqua Valley High School, which competes in the same conference as Lake Park High School. Like many others reading the story, Tori initially felt bad for the Federico family, but she also felt compelled to do something more. Knowing that Lake Park would be hosting Neuqua Valley in volleyball in less than two weeks, she quickly began to recruit her teammates, coaches, parents and other fans to give back. Tori had no connection with the Federico family. She didn’t know her counterpart on the volleyball court (Nikki Federico), and the two seniors didn’t have any mutual friends. Nonetheless, Tori orchestrated an evening that no one will soon forget. Although Christine was unable to attend the October 15th match, the surprise Christine’s daughters and parents felt when they entered the gymnasium decorated floor to ceiling in orange (the ribbon color for leukemia awareness) was nothing short of overwhelming. Tori started the evening by taking the microphone at center court and explaining that the Lake Park volleyball team had dubbed the night “Teams Helping Teams.” The parents of Lake Park volleyball coach Kate Clifton owned a local t-shirt company and donated orange shirts for the event that that read “Federico Family We Support You,” that nearly everyone in the gym wore. In the end, the team sold more than 600 t-shirts and raised in excess of $3,500, which Lake Park presented to the Federico family to help pay for uninsured medical costs. Tori was honored by the NFHS at a luncheon at the NFHS Summer Meeting in San Diego, California. Kevin Crafton was a standout two-sport athlete at Red Bud as a junior in 2010-11, playing on the Musketeer football team in the fall and the baseball team in the spring. He had been a three-sport athlete until high school and plans to rejoin the school basketball team during his senior year after broken bones in his foot and surgery on a torn meniscus cost him his freshman and sophomore seasons on the hardwood, respectively. Kevin lines up all over the field for the Red Bud football team, playing running back, wide receiver, linebacker and defensive back. He also earned All-Cahokia Conference honors as a kicker last fall, while finishing third on the team in scoring and tackles, catching five passes for 187 yards and snagging a trio of interceptions. On the baseball diamond, Kevin pitches, plays first base or centerfield and routinely hits in the number three or four slot in the Musketeer batting order. Kevin has excelled at all of these endeavors despite losing his right hand in a meat grinding accident nearly seven years ago when he was nine years old. After losing his dominant hand in the accident, Kevin was forced to not only relearn how to play sports, but also the small day-to-day things that came with little thought or effort like brushing his teeth, writing his name, tying his shoes and playing video games. His resiliency, determination and fearlessness in the face of adversity made him an ideal candidate for the NFHS Spirit of Sport Award. “When I lost my hand, it required me to work twice as hard on a lot of things, as well as to spend a lot of time thinking through how to do things that came easily to me when I had two hands. I have a lot of positive influences in my life who have helped me overcome my accident, starting with my parents and my family. All of my coaches, especially the football staff at Red Bud, have also been incredibly important as well. They always push me and don't treat me differently from any of the other kids. They didn't change or lower the expectations for me and that motivated me to set higher goals." Eddie Avila’s harrowing story began in January 2011 during his senior year at Belvidere North when he suffered a horrific knee injury during a wrestling match that required his left leg to be amputated above the thigh. The fact that he was a talented tennis player who had decided to try wrestling on a whim, simply for the experience, during his final year of high school would seem to make this story even more tragic. But as Eddie’s injury became national news, the story quickly shifted from a tragedy to a feel-good story, as Eddie’s positive attitude in the face adversity became an inspiration to those around him. A talented musician who plays five instruments, Eddie touched many lives during his recovery and reached his goal of walking across the stage for graduation last May. Todd Hollis, a teacher at Elmwood High School and the head football coach of the Elmwood-Brimfield football coop has made significant impact on his team and community well beyond wins and losses. Hollis has strived to enrich the lives of his players with the Trojans’ Men of Virtue program, which promotes positive values. However, it’s what Hollis has done outside of football that has really distinguished him.After Hollis’ wife, Anne, gave birth to two healthy boys, the family’s first daughter, Meg, was born in 2007 with Down syndrome. Three years later, the Hollises adopted three-year-old Alina (who also has Down syndrome) from an orphanage in the Ukraine.As both daughters received therapy and services from Easter Seals of Peoria, the family took on an affinity for the organization and Hollis began to look for ways to give back. His initial efforts came in the 2007 season with some simple grassroots fundraising programs that generated $1,300. The following season, Hollis and his players started “Blackout for Easter Seals,” in which the team would sell black t-shirts featuring the Easter Seals logo for a select home game each season. The concept continued to spread and soon more than 30 high schools were hosting games. During the first five years of the program, more than 100 “Blackout for Easter Seals” games have been played, raising a grand total of $194,107.87 for Easter Seals. "Through the love for his children - and every child with disabilities - Todd Hollis has dedicated his life to making this world a better place for everyone." Less than 24 hours after Washington High School won its first IHSA Football Playoff Quarterfinal contest since 1985, the community of 15,000 (11 miles east of Peoria) was devastated by an EF-4 tornado that leveled over 1,200 homes. As the town and team tried to pick up the pieces, while also preparing for their semifinal football game that loomed six days later, it was their opponent Sacred Heart-Griffin High School who went above and beyond to help. 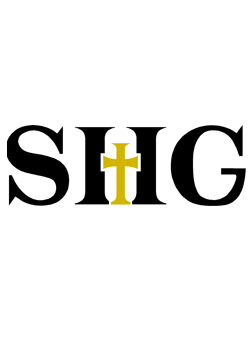 SHG provided water, food, transportation and raised over $75,000 for the community. Click this link for more on SHG's efforts to help Washington and WCHS. After a strong sophomore season playing varsity basketball for Tri-Valley High School head coach Jon Nelson, Austin Spencer discovered he was one of approximately 50 people in the world living with a rare immune deficiency disease just weeks before the start of his junior year. Spencer spent his entire junior year in Cincinnati, Ohio, where he underwent a bone marrow transplant and recovery. Despite the distance, Coach Nelson’s support and friendship played a key role in Austin’s recovery. Austin completed a miraculous recovery when he returned to school at Tri-Valley in November, one year after his transplant. His return also coincided with the first game of his senior season of basketball, where he started that night and scored a game-high 15 points in a victory. Click here for more on Austin and Jon's story. Wolfgang Kemp has overcome adversity that few individuals can truly understand, but his passion for high school football and wrestling proved to be a guiding motivation in helping him overcome. Wolfgang and his father lost their home during his sophomore year of high school, and unsurprisingly, the homeless teen’s grades suffered to the point that he would become academically ineligible for both football and wrestling. Aided by temporary housing from the county, and the support of coaches and teammates, Wolfgang worked himself back to eligibility. His determination and resiliency in the face of significant challenges define the spirit of this award. Click here for more on Wolfgang's story. In the summer entering his junior football season, Bloomington Central Catholic’s Joey Malinwoski found himself wanting to give back through sports, but wasn’t quite sure how. While attending a football camp in Wisconsin that July, he was touched by the words of University of Nebraska punter Sam Foltz. That evening, Foltz was killed in a car accident on his way home from the camp. Upon hearing the news the next day, Malinwoski made the decision on-the-spot to work with Kick-It For Kids With Cancer to help raise money for pediatric cancer research. The only problem was that Malinowski wasn’t a kicker, but rather a longsnapper. Also an offensive and defensive linemen for the Saints, he received special permission from Kick-It to raise money for each tackle he made during the 2016 season. He used his jersey number, 70, as the inspiration to try and raise $7,000, which he easily surpassed en route to nearly $8,000 raised. Along the way, a family in Tinley Park whose son was battling Leukemia heard what Joey was doing and reached out to him. He connected with the young man, Joe Moylan, and began to call him before every game to encourage him to keep fighting, while he and his fellow linemen began to wear bracelets supporting him. Click here for more on Joey's story. "Dedicated is the first word that comes to mind with Joey. He is a genuine guy. He is true to his values and what he knows. He is a great teammate, a great leader and a great guy." Damari Hendrix was the victim of random violence when he was shot in the head following a pickup basketball game on Labor Day weekend in a Chicago park. Given a one percent chance of surviving surgery, Damari would make it through three total life-saving surgeries and a four-day medically induced coma. It would take him two months to relearn how to talk, while therapy sessions three times per day would help him slowly regain a full range of motion in his extremities. He was home-schooled his entire sophomore year as he recovered, but amazingly, when his junior year rolled around he was back in school and playing basketball with his teammates in open gyms. The likes of ESPN were in attendance when Damari played in the Hornets season-opener in November, where he came off the bench and drained his first jumper. While he continues to work back to full strength, he’d post a double-double in a game just days after the opener, putting an exclamation point on his amazing comeback story. Riley Maher showed incredible determination in her battle with cancer, going from diagnosis to returning to play lacrosse for the Panthers in a six-month span. After showing no prior symptoms, Riley went to the doctor in October experiencing chest pain she believed to be caused by a bruise in a lacrosse game. Over the course of the next 48 hours, she would be diagnosed with B-Cell Lymphoma and begin undergoing aggressive chemotherapy treatment. Each of her 21-day chemo treatment cycles required a five-day hospital stay followed by 16 days of recovery at home. Her passion for lacrosse and her teammates motivated her in recovery, and amazingly, she was cleared to return to practice on March 21 and played in her first game on April 9. Riley helped guide her team to an IHSA Sectional title a month later. Riley is straight A student who volunteers in her community, and recently accepted a post as the Teen Life Council Member at St. Louis Children’s Hospital where she was treated.